Washington (AFP) - Europe's top economies called for a crackdown on tax havens and urged G20 countries to rip away the secrecy protecting shell companies, as the Panama Papers scandal claimed Spain's industry minister as the latest political victim. In the strongest reaction yet to the leaked Panama Papers, the finance ministers of Britain, France, Germany, Italy and Spain proposed a blacklist of havens like Panama if they failed to share corporate registry data. "Today we deal another hammer blow ‎against those who hide their illegal tax evasion in the dark corners of the financial system," British Finance Minister George Osborne said in a statement. 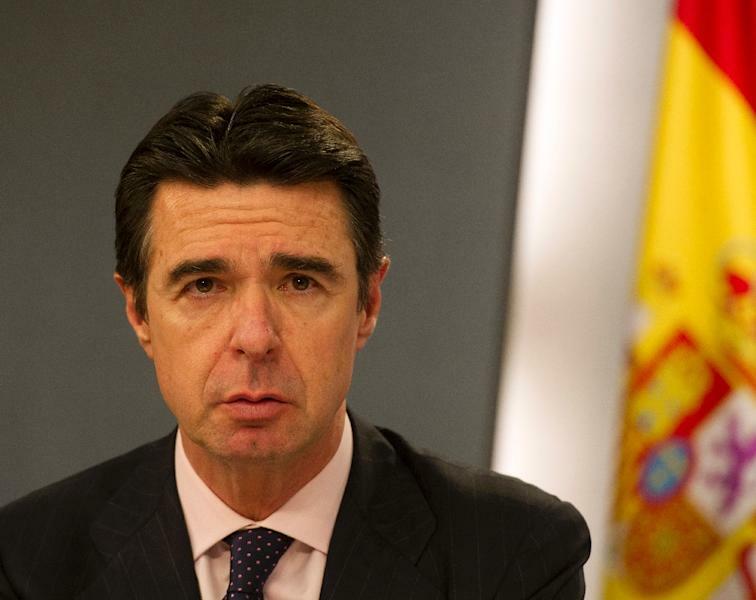 Spain's industry minister, Jose Manuel Soria, stepped down Friday after being named in the leaked papers, citing "mistakes" in explaining his alleged offshore interests and "the obvious harm that this situation is doing to the Spanish government". Soria's troubles began on Monday when Spanish online daily El Confidencial, which has had access to the Panama Papers, said he was an administrator of an offshore firm in 1992. Soria called a news conference to deny any link to the company, but as the week went by, more allegations emerged from other media outlets, revealing further alleged connections to offshore havens. In their joint statement during a meeting of the World Bank and International Monetary Fund in Washington, the five EU ministers said: "The recent extensive leaks from Panama show the critical importance of the fight against tax evasion, aggressive tax planning and money laundering." "When taxes are evaded, when state assets are taken and put into these havens, all of these things can have a tremendous negative effect on our mission to end poverty and boost prosperity," he said. 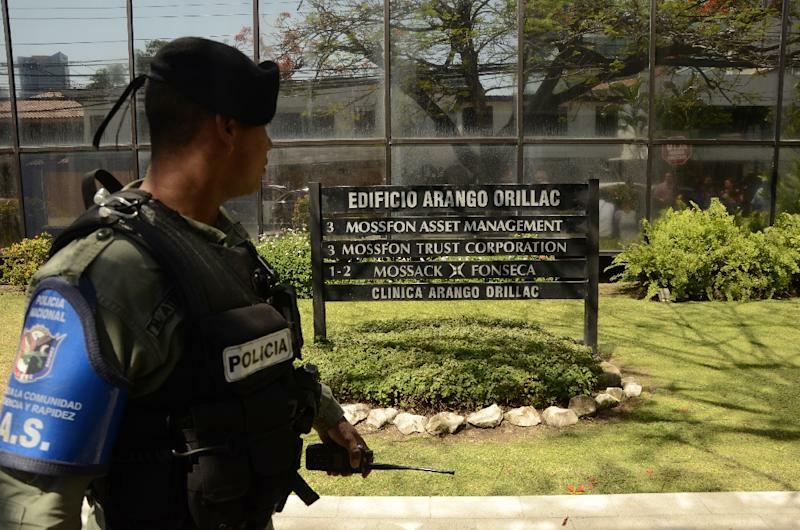 The joint European move was a reaction to the leak of thousands of documents on anonymously-owned shell companies from Mossack Fonseca, a Panamanian law firm that specialized in setting up such firms. The trove showed the use of shell companies by prominent politicians including close associates of Russian President Vladimir Putin, family members of Chinese leaders, British Premier David Cameron, and the leaders of Iceland and Argentina. 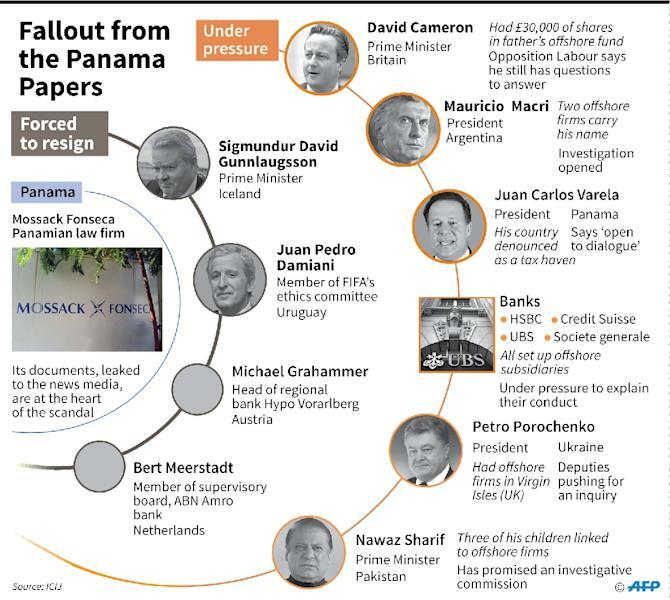 The leak placed Panama in the spotlight as one of the leading havens that have not joined an agreement on sharing information on bank accounts and other assets. The five threatened to create a blacklist of countries which do not cooperate on sharing data. "We want to have lists which make it possible to place sanctions on countries which don't respect the rules," French Finance Minister Michel Sapin said. Under pressure, Panama said Thursday it was ready to begin working together with the "Common Reporting Standard" (CRS) system on sharing information about assets and accounts. "Panama's path to financial transparency is irreversible," Vice President Isabel de Saint Malo de Alvarado said in a statement. But the Oxfam anti-poverty group, which released Thursday a paper showing how top US coproations have socked away $1.4 trillion in profits in tax havens, said the European proposals are still too weak. "If the proposed registry of beneficial owners of companies and trusts is hidden from the public, how can we know who is hiding their profits and fortunes and trying to avoid paying their fair share?" they said. In the meetings that got underway Thursday, both the IMF and World bank urged countries to do more to support economic growth and prevent the world from backsliding toward recession. They said the demand for financial support from struggling governments has risen to levels normally seen during crises. "In the global economy, there are not many bright spots," World Bank President Kim said. "The weakening global economy threatens our progress toward ending extreme poverty by 2030." "We are on alert, not alarm," IMF chief Christine Lagarde said. "The current policy responses that we are seeing need to go faster and need to go deeper." Lagarde also warned that Britain's threatened pullout for the European Union was a "serious concern" for the global economy. "It's been a long marriage between members of the European Union," she said. "It's really my personal hope that it doesn't break," she added. "Like all marriages, good talks can actually help and I hope that the dialogue can continue."